Private, wunderschön gestaltete apt. in der Nähe von Kailua Beach, perfekt für Paare. 1 Schlafzimmer Apt, Kingsize-Bett, Klimaanlage, Badezimmer, Dusche im Freien. Ginger Hale, ist eine professionell gestaltete, maßgeschneiderte, sehr private High-End, klimatisierte Wohnung mit einem Schlafzimmer im Obergeschoss. Sie haben Ihren eigenen privaten motorisierten Eingangstor, die zu Ihrem Parkplatz abseits der Straße und Wohnungseingang führt. Ginger Hale liegt am Strand Kailua (Ozean Seite der letzten Straße vor dem Strand) 80 Schritte zum Strand Zugang. Rückkehr vom Strand genießen Sie die Dusche im Freien mit heißem Wasser! Sie werden feststellen, eine neue Spülmaschine, Waschmaschine und Trockner, und Kochfeld sowie ein großer Kühlschrank. Ihr privater Gartensitzplatz ist komplett mit Essbereich, einem Weber Gasgrill. Wir bieten Ihren Papierwaren, Reinigungsmittel, Badetücher, Föhn brauchen Sie nur Ihre Badesachen und Sonnencreme. Kommen Sie zu uns. Wanne / Dusche Kombination mit einem Blick auf Palmen. Große Zähler und Spiegel mit genügend Handtücher und Haartrockner. In Waschmaschine und Trockner gebaut. Liegestühle, Boogie Boards, Strandtücher, Papiererzeugnisse, Waschmittel, Haartrockner. It was simply the best. The location was superb, the apartment was A+, and Susy and Jon were terrific. And we had a great time. Clean and quiet place with easy private parking and few minute walk to the beach. Arrived at this gem and found the directions to be spot on. The descriptions and photos as advertised were also perfect. Susy left a set of directions and local "things to do/see" document and it was so helpful. The place was clean and perfect place to start a nice quiet and relaxing getaway vacation. The beach access was less than a 5 minute walk so that was nice too. Most of the parking on the island is difficult but not here - it was private and easy to access. This is an easy 5 star rating and we'll be back to this same place on our next trip to Oahu. Thanks so much for sharing your lovely place! We stayed for 10 days and loved this place! It was a fantastic location - it took about 4-6 minutes to get from the door to the edge of the waves, walking at a leisurely pace, and the beach closest to the home was absolutely beautiful and completely empty most of the time. The home is spotless, modern, well appointed and comfortable. Susy was such great host, and so helpful and friendly. We can't stop talking about what an amazing time we had! We lived on Oahu for 4 years and go back to visit often. This was our first stay at this location and we loved it!!! Perfect location with beach access to the most beautiful beach on the island. Close to Kailua town. Fully furnished apartment with all the beach extras - towels, chairs, etc. Spotless. Secure parking. AC for the rare occasion that the trade winds aren’t blowing. Very private. Very comfortable king bed. Incredibly nice and helpful owner. We won’t stay anywhere else in the future!! Don’t hesitate to book here. You will love it!! Thank you so much to Susy for her kind hospitality and wonderful Aloha spirit. 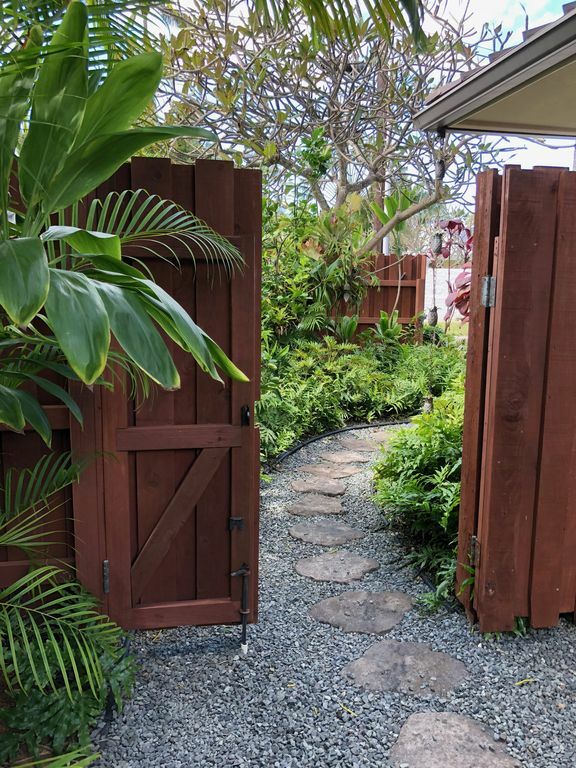 The rental is tastefully appointed and appropriately located; close to downtown Kailua, Lanikai and of course Kailua beach. Restaurant's and grocery stores are also, close by.